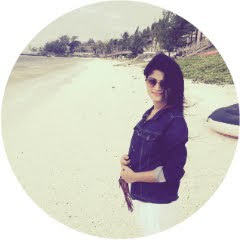 Hope you all are doing fine, its weekend arrived and I'm up with a new blog post. The title says it all, I've been longing to put something like this and finally I'm glad I am doing it. For me fragrance also known as perfume is Wish Fulfillment, we scent ourselves as we wish to see ourselves. Fragrance may be utilized as the Mirror on the Wall, reflecting us as the Fairest of Them All. You can perceive yourself as eternally youthful, delicate, coquettish, sovereign, suave, impossibly soigne and elegant simply by a spritz here and a dab there. 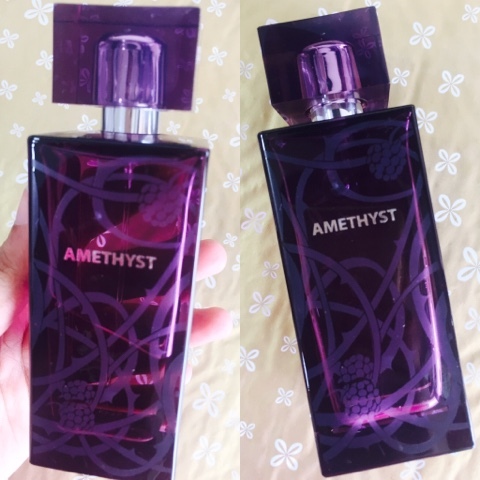 It is always good to smell good but not too strong, I personally don't adore strong fruity fragrances, It gives feeling of irritation, headache and suffocation so instead prefer perfumes that are mild and not so sweet. Below are some of my favorites from my favorite perfume brand that I've been using from past 10 years. I don't know how many of you are aware about the brand AJMAL PERFUMES but it is one of the most known and expert brand in to perfumes and attar since 1950. Ajmal perfumes, a family-owned fragrance house based in Dubai, is a brand whose name means “most beautiful” in Arabic. With nearly 60 years of heritage and expertise in the fragrance industry, Ajmal has established a formidable presence in the world and became synonymous with captivating perfumes & beauty products, as well as high quality traditional Arabic and oriental fragrance products for the body & home. 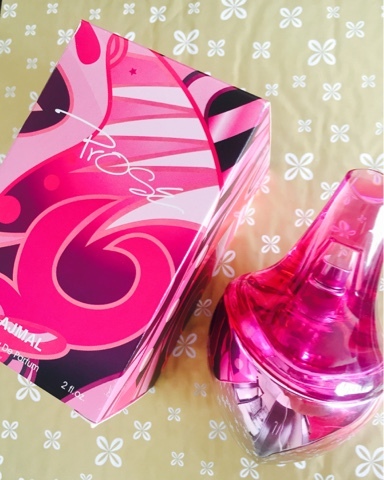 I have two more from the prose collection, Prose amore and rika. Evoke is designed to attract the glamorous young woman who is vibrant and full of life. A fresh and spicy opening to the fragrance through bergamot and pink pepper welcome a floral assured heart composed of Jasmine, Rose and Orris. Nestled on an assured woody powdery base of patchouli, vanilla and moss giving the fragrance a pleasing yet provocative demeanor. 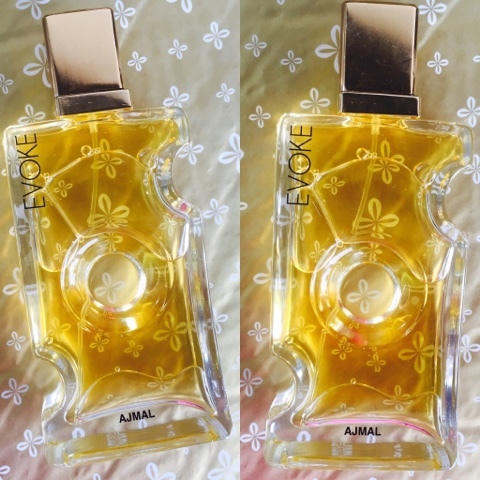 Ajmal creates this perfume that is so divine and bewitching and leaves the woman in you in a state of ecstatic bliss. 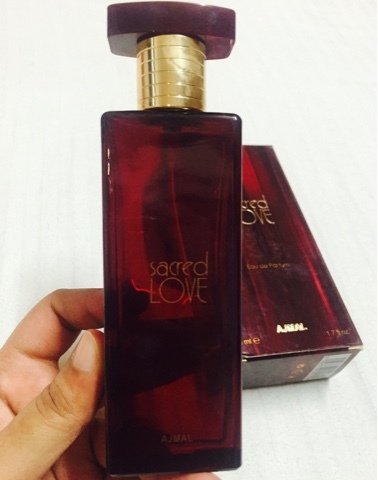 The enchanting amalgam of floral and citrus notes will make Sacred Love reveal your uninhibited charm. This perfume boosts your self-confidence when you step out. The warm fragrance of vetiver, ambergris, peach, water lily, jasmine and sandalwood will retain your elegant demeanor and emanate a subtle fragrance that will add to the romantic ambience. Base Note Reveal the distinctive warm aroma of musk that forms the essence of this perfume and holds you in its surreal aura. Combining uplifting Fruity and sensual Floral notes for the ultra modern woman of today. 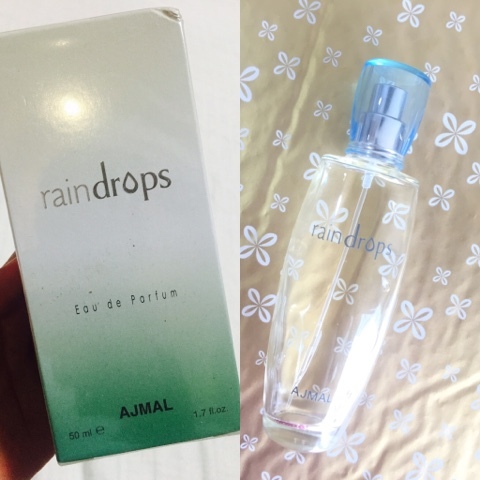 With a unique mix of Floral, Fruity and Fresh notes, Raindrops is a modern scent which exudes a sleek and simplistic elegance enveloping the wearer in a delicate weave of contemporary elements. The fragrance, with its clean, back to basics chic is designed to appeal to women who seek practical scents, reminiscent of outdoor freshness. Wisal is an inviting fragrance that features fresh modern notes, blended for mature and dynamic women who are trendy yet traditional at heart. Its mix of Fresh Floral top notes combined with Spicy Floral heart andFloral Musky base notes combining Rose and Musk is soothing for the psyche, reflecting the wearer’s self-assurance. Paris Hilton Perfume by Paris Hilton, Paris hilton was introduced in 2004 as a sleek, sophisticated fragrance for any woman . Paris hilton is a concert of frozen apple, peach, muguet with a beautiful heart of freesia, mimosa, jasmine, tuberose. Finishing off with musk, sandalwood, ylang ylang and oakmoss. Paris hilton is perfect for everyday wear or that romantic evening out. And no one can have just one , I'm sure you'll end up buying everytime it's over. 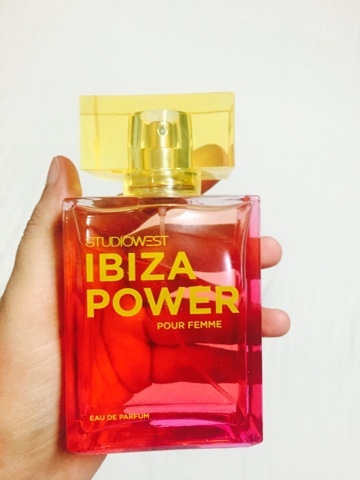 A square shaped bottle with a pink body and yellow cap makes the packaging really attractive. The outer cover is even more exciting which has splashes of bright inks printed on it. The fragrance is allured with topical fruits. It makes you feel fresh and high on energy. 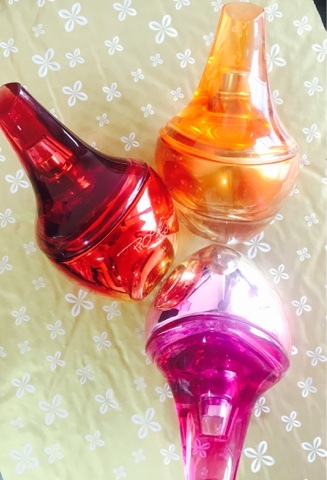 All of these fragrances are available on Flipkart and Ebay. I highly recommend it to all the perfume lovers. Remember : “You are never fully dressed without perfume!” ― C. Joy Bell C.
Hope you find it meaningful & useful, Thank you for stopping by and reading it. I've had this blog post planned for a while now, couldn't wait to share. I had been to Sephora few weeks ago and got few benefits products. It is indeed great pleasure to have sephora in Mumbai and now they have also included NYX and I'm simply adoring it. 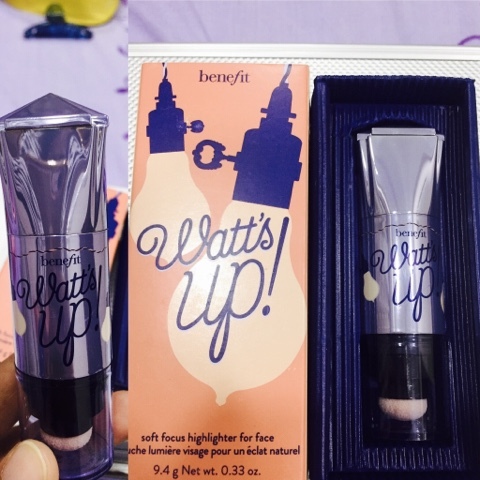 benefit Cosmetics Watt's Up ! I think this is a great choice for a first highlighter. It's not a BAM in your face kind of highlight, which I like about this product. It looks very natural and just amps up the natural reflection that occurs on your cheekbones. You could build it up if you wanted to, but I prefer it as a subtle glow. The color and formula really make it best suited for a natural highlight. You could apply this straight from the tube, with your fingers, or with a brush. I use all of these methods and it looks great either way. 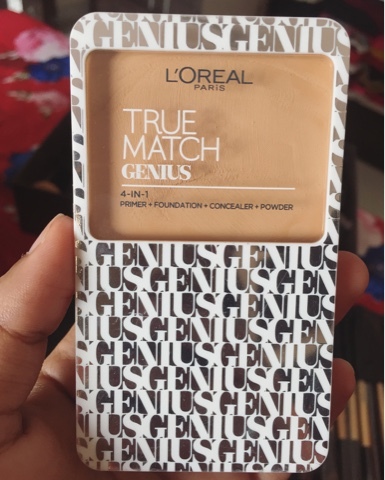 It has a really nice, creamy formula. 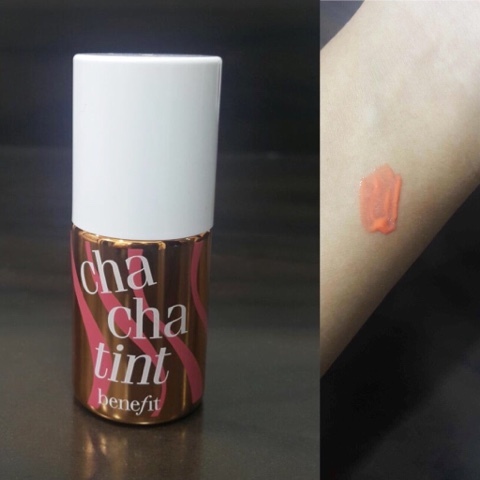 This mango-tinted stain beautifully blushes lips & cheeks with a tropical coral hue. 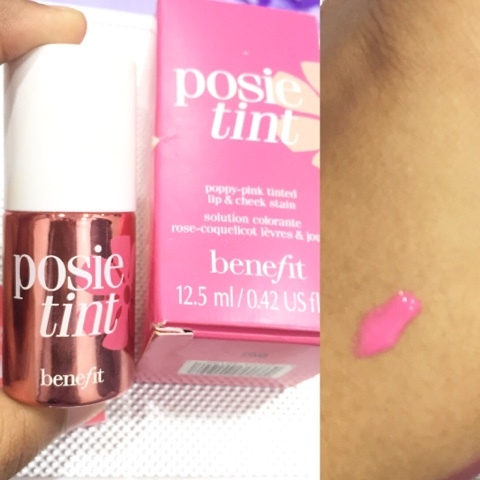 The sheer stain has a natural finish that will leave you looking deliciously vibrant for hours. Its smudge proof and long wearing. 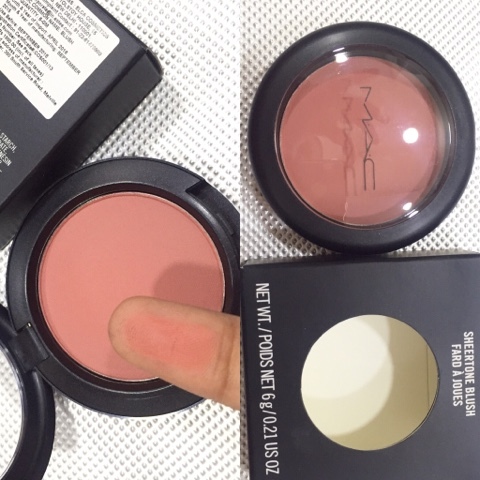 It is the easiest way to find the apples of your cheeks and just the spot for coral color! Apply three small strokes of chachatint, then blend. Henceforth dot on your pout and blend. Cha cha cha! The 1st makeup genius by True Match 4 professional gestures into 1 easy step perfect complexion anytime, anywhere. It smoothes skin surface like a primer, for a never before velvety finish. It has an ultra gliding texture that glides and unifies like a fluid foundation. Also covers imperfection like a perfect concealer for a flawless skin canvas. 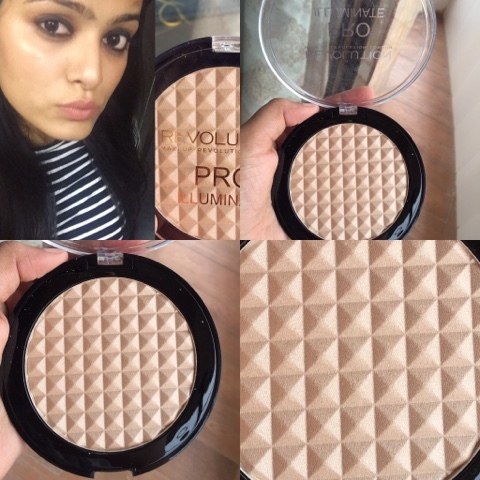 It perfectly matches the skin and shade finishes like a refined powder and lasts for 12 hours. OMG! This highlighter is one of the absolute best highlighters I've used! It's the most gorgeous, universal subtle gold color. It's something that'll work on everyone's skin tone, in my opinion. I have Combination skin type and it makes my skin look so dewy and glowy without looking super frosty or shimmery and enhancing the size of my large pores. It makes my skin look like I'm naturally glowing from within, but it's super intense at the same time. It's so affordable. The pan is huge, so you're getting a lot for your money. I highly recommend this. 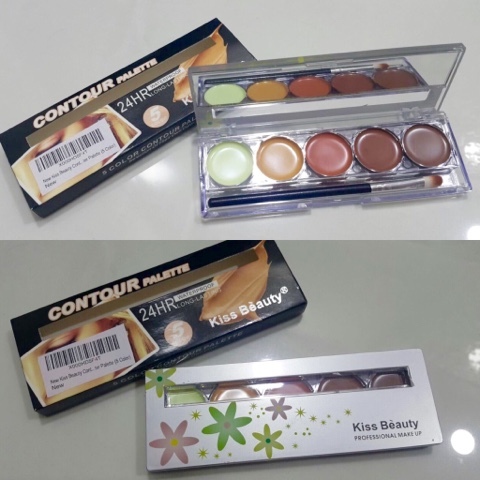 Kiss beauty professional makeup contour and concealer palette is super delicate light powder formula, extremely perfect fitting skin, moisturizing, perfect concealer while protecting the skin, light color, shading, a box of easily creating three - dimensional facial features, so that make up lasts flawless. Though I'm not a contour lover but wanted to try one, Its is very affordable and of high quality. One of the best contour palette for the beginners. I've been using this product for about 2 months. The colour is natural, with a slight sheen, very slight. It's absolutely lovely and it doesn't clog my pores (unlike my Guerlain blush). 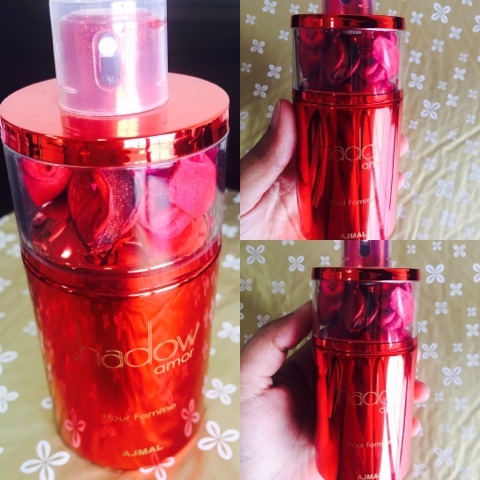 I simply adore because it lasts for really long time and also it's super blend-able. highly recommend it for daily use. Those were my August favorites, I hope you found it useful and meaningful, Give them a try because they all are simply adorable and highly recommend. Thank you for stopping by, Keep Visiting.